Earlier today, we told you how you can score a $15 Target credit for a Google Express order just by saying "Spring into Target" to Google Assistant. Now, we can save you $5 thanks to a promotion being offered by Amazon. 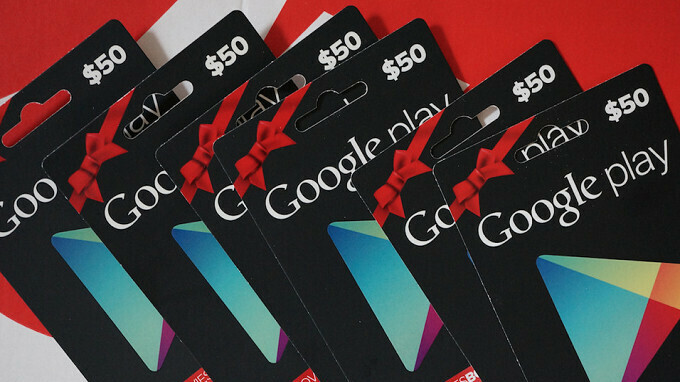 Purchase a Google Play gift card in the amount of $50 or more, and save $5 on the cost. In other words, a $50 card will cost you $45, a $75 card is priced at $70 and a $100 card is priced at $95, etc. Now, to get the $5 taken off your bill, write in the code GOOGLE when you check out. One $5 discount is available per customer, and to reiterate, the discount is offered for Google Play gift cards with a $50 face amount and higher. Not only can you use the Google Play gift card to buy paid apps, you can also use it for subscriptions to YouTube Red, Netflix and Google Play Music to name a few. The card can also be used to purchase video and music from Google Play. Amazon says that this is a limited time offer, so if you want to save $5 on the purchase of a Google Play gift card valued at $50 or more, don't procrastinate. Click on the sourcelink now.